NOTE: This class has been put on hold for the time being. I occasionally teach certain components of it but not the whole system. Continue reading to learn more about this practice as a way to more deeply empower and enhance your personal healing. Chow Medical Qigong is an ancient discipline that anyone can learn. Its various concepts together form what Dr. Effie Chow, its originator, calls the Chow Integrated Healing System, a total integrated approach to health of body, mind, and spirit. It is a powerful healing system that combines western health practices and ancient Traditional Chinese Medicine in which body mind spirit are one. Fitness and wellness, body mind spirit, are the primary focus. 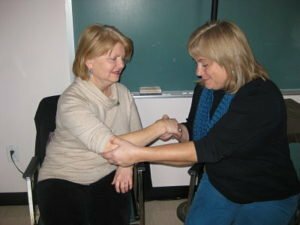 Chow Qigong further emphasizes how we play a major role in our own health and healing, particularly as we learn how to sense and build our internal qi. within each of us and to learn more about bringing it into greater balance through a focus on posture and breath, physical exercises, meditation, Qi-Pressure, massage, energy testing, basic principles for living, as well as good nutrition, and more, all of which help to build our internal qi. Many people of all ages and abilities practice Chow Qigong simply because it makes them feel good. Many have reported, and research demonstrates, that the more faithful one is to practicing, the deeper the benefits. using your own natural inner resources. * fostering more JOY in your life! at the beginning of each session. Click Here for my poster of Chow Qigong 10 Basics plus Basic Components, including 8 hugs a day! 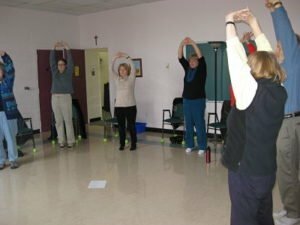 Click Here to read a copy of “Spotlight on Chow Qigong”, an article I wrote for the NL Wellness Guide 2013 Edition. 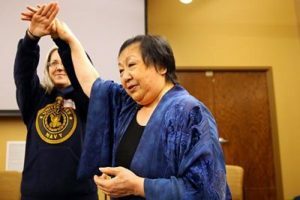 You are welcome to browse Dr. Chow’s web site for more of her story and for more information about the East West Academy of the Healing Arts. A mini bio can be found below at the end here . 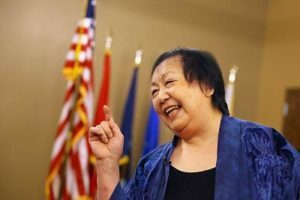 There are numerous You Tube links for Dr. Chow well worth browsing … including numerous interviews … quite an amazing woman …quite an amazing healing practice! The script for the full meditation and the introduction can be found in her book, Miracle Healing from China, co-authored by Dr. Chow and Dr. Charles T. McGee. Available through her web site as well as on-line shopping sites such as Amazon. Here is the You Tube link for Dr. Chow’s Follow-Along exercise segment as it appears on Volume 1 of her 2 DVDs. She essentially does 2 repetitions of each exercise in total silence. Instructional clips for several of her exercises as singles can be found on You Tube as well. Volume 1 DVD, Chow Medical Qigong Basics and Exercises, is available for purchase from her web site. It contains the basics of Chow Qigong, including detailed guided instructions for each of the exercises, along with details re the benefits for each. Dr. Chow is a world renowned Qigong Grandmaster, energy healer, acupuncturist, author and guest speaker. She is also a registered public health and psychiatric nurse.For over 40 years she has worked to integrate Traditional Chinese Medicine (TCM) with Western Medicine. In 2000 she was appointed by then President Clinton to the White House Commission on Complementary and Alternative Medicine Policy. She is also the Founder and President of the East West Academy of Healing Arts in San Francisco, CA. 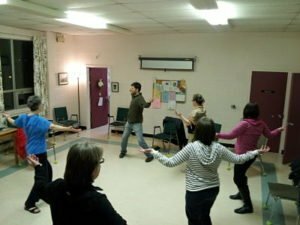 Dr. Chow had been to Newfoundland to conduct training in the Stephenville area and was a key lead person at The Canadian Qigong Congress held in Stephenville in 2009. It was my experience with Dr. Chow at that Congress which stirred my initial interest in doing further training with her. I later attended the World Qigong Congress in Toronto in 2012 which led to my eventually doing my Level One Certification as a Chow Qigong Instructor and Practitioner.